There was more breeze this morning than there was this afternoon on Moreton Bay in Brisbane. 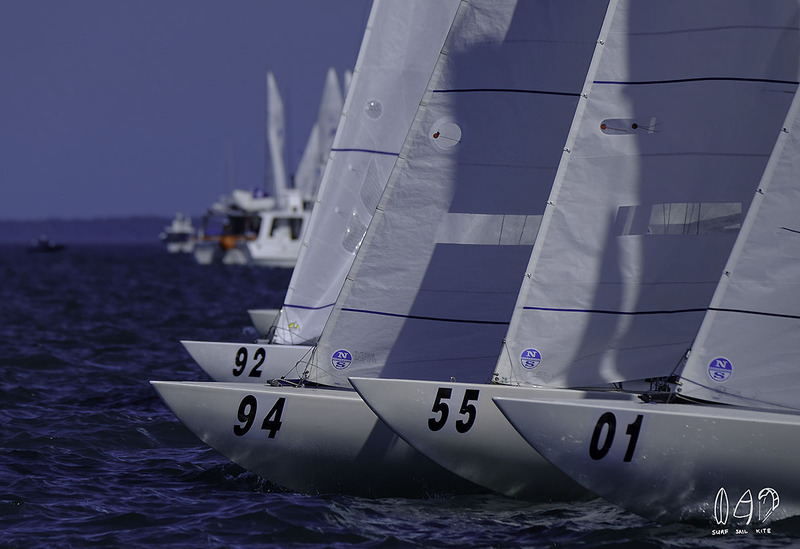 This was great news, for it meant that after just a short stay ashore, the 2018 Etchells World Championship Race Committee sent the 94 boat fleet out for racing, and it looked like there was more than a great chance of getting two races in. Opting for the shorter Course Two, which is two complete windward returns, also set it up beautifully. Yet for my money, having them radio everyone to indicate most strongly that this was a Code Flag U start, meaning there were no prisoners to be taken, really did signal their intentions. For Race two, and after a General Recall, the dreaded Black Flag appeared. Unfortunately, both races claimed victims, and so the bar saw some sailors much earlier than anticipated. Some have scoreboard pressure to show for it, now that we have four races completed in the series. 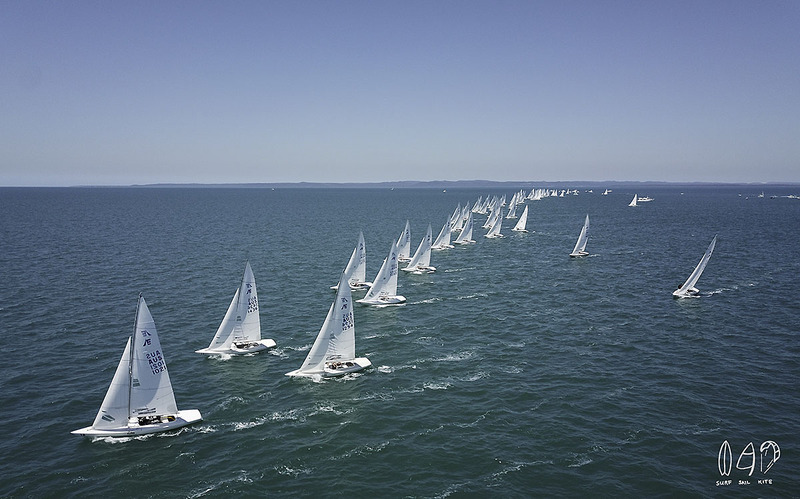 The first race was set on an axis of 020 degrees over a range of 2.4nm, and it was blowing a full ten knots. There was even a chance of an afternoon thunderstorm, which did actually roll through the Gold Coast to the South, but on the track it was hot and hard work. As per the last few days there was a tide running from South the North. Unlike yesterday, starting left was favoured, but you did want to cross back early, and not end up near the islands, for this put you well out of the game. Those that did as mentioned above, slaughtered those coming out from the right. There was much less breeze at the weather mark, as the clouds over the land reached up to the heavens. Good for building storms, not so flash for sailing, perhaps. 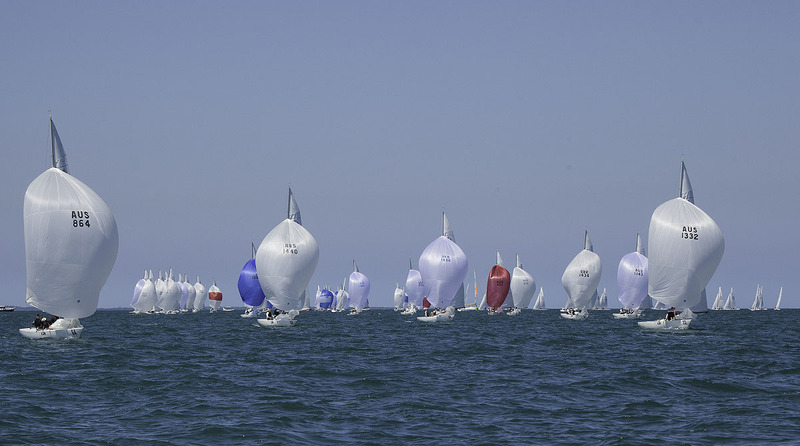 For the second race, which the Race Committee got away pretty smartly after the last boat was home from the first, the breeze had clocked right to maybe 030 degrees and was 10 knots when it wanted to be. During the set up, 045 looked more like the go, and this was settled on as they got away just on three PM in the afternoon. Course Two was selected, so the boats would be back closer to the Royal Queensland Yacht Squadron for the trip home. A range of 2.3nm was selected. Some got to watch it unfold of course, as they headed home after having been pinged on the Black Flag. So it is also about now that consistency pays off. Big time. 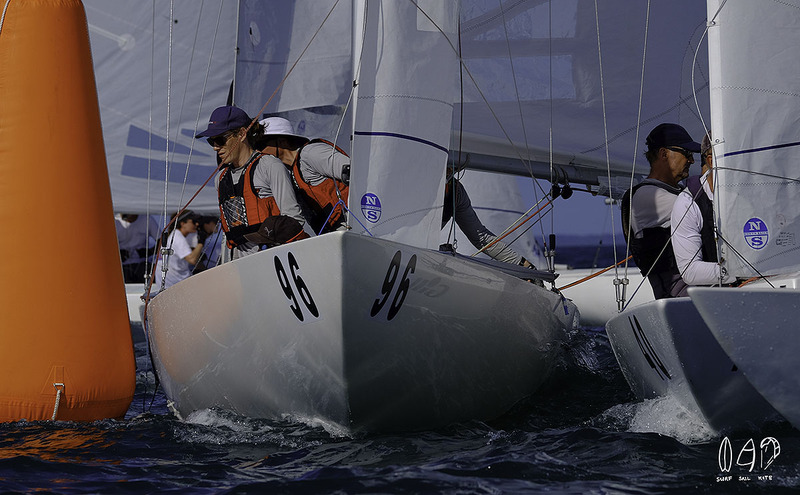 Many an Etchells regatta has been won without the winning crew having a bullet (first place) recorded against their name. Such would be the case today, with Mark Thornburrow, Mike Huang, Alexander Conway, and Will Ryan on HKG 1406 leapfrogging over Lisa Rose who held the top spot last night. A fourth and fifth place today give them a five-point spread over AUS 1449. So well done Racer C! Racing continues tomorrow, Thursday October 25, and is followed up immediately afterwards with the world famous David and Sue Healey BBQ. Just a little bit over!